This summer in an attempt to get Greg and I to eat more vegetables I signed us up for a CSA (community supported agriculture). We get a box of veggies each week from Oxbow farms and then I have the task of figuring out how to prepare and eat said veggies. Not always an easy task. You see, Greg and I grew up in the Midwest. And while most people think of farmers in when they think of Indiana those who are from there know that the diet there consists of little more than meat and potatoes. 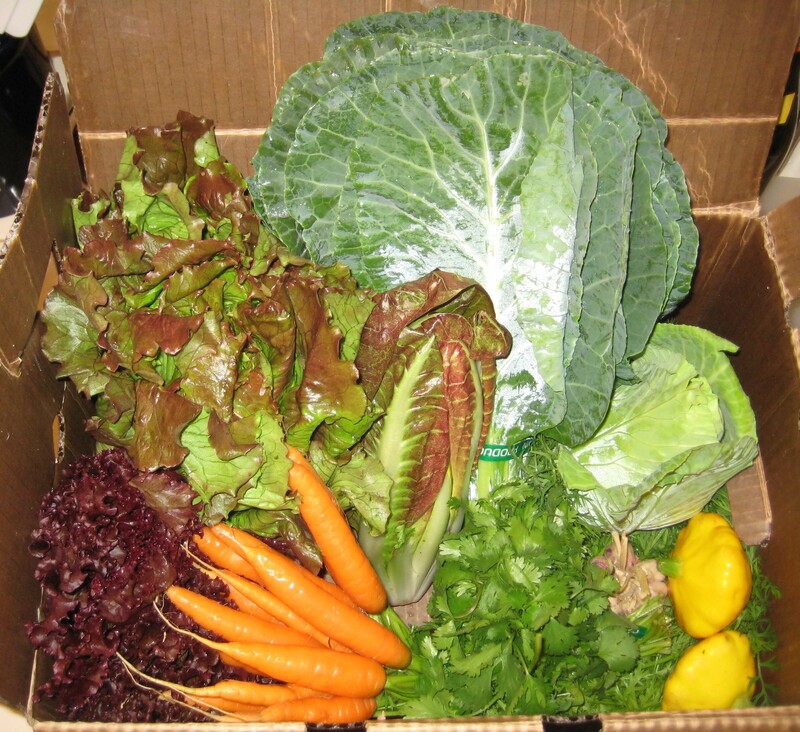 So in an attempt to fit in with the west coast, and get a little healthier, I took the plunge and signed up for a CSA. This past week we received fennel in our share. I know I’ve eaten fennel in the past and I know what it tastes like but I’ve never cooked it myself. But never fear! Martha Stewart to the rescue! I was perusing the web trying to figure out how to sneak fennel into a meal that Greg would eat and good ‘ol Martha has a recipe for fennel and pork, perfect. Martha does what has quickly become my favorite, and probably the easiest, way to prepare veggies – roasted. All you need is a hot oven and a cookie sheet, it really couldn’t be easier. 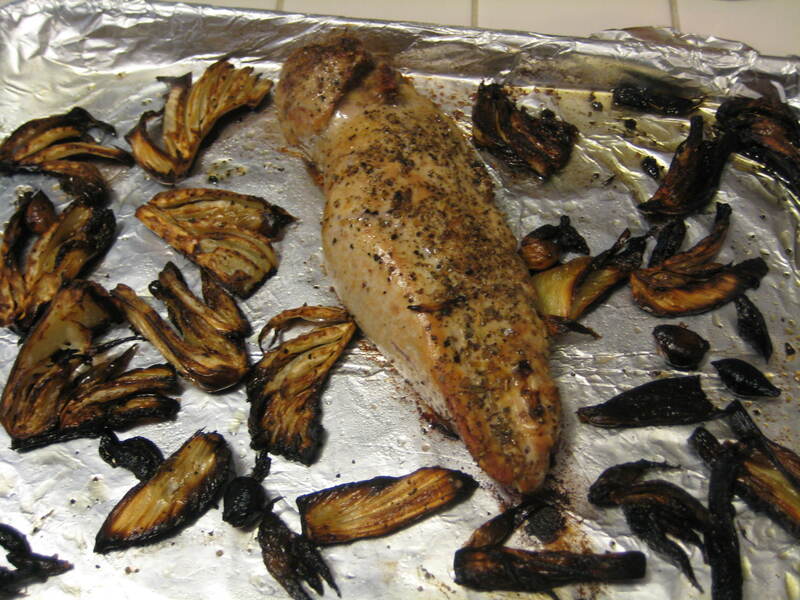 And the beauty of roasting veggies is that you get a nice earthy and sweet flavor out of them – delicious. I found out that it also happens to be the easiest way to get Greg to eat veggies. Preheat oven to 475°. On a large rimmed baking sheet, toss garlic, fennel and 2 tablespoons oil; season with salt and pepper. Roast for 10 minutes. Pat pork dry and rub with remaining tablespoon oil; season with oregano, salt and pepper. 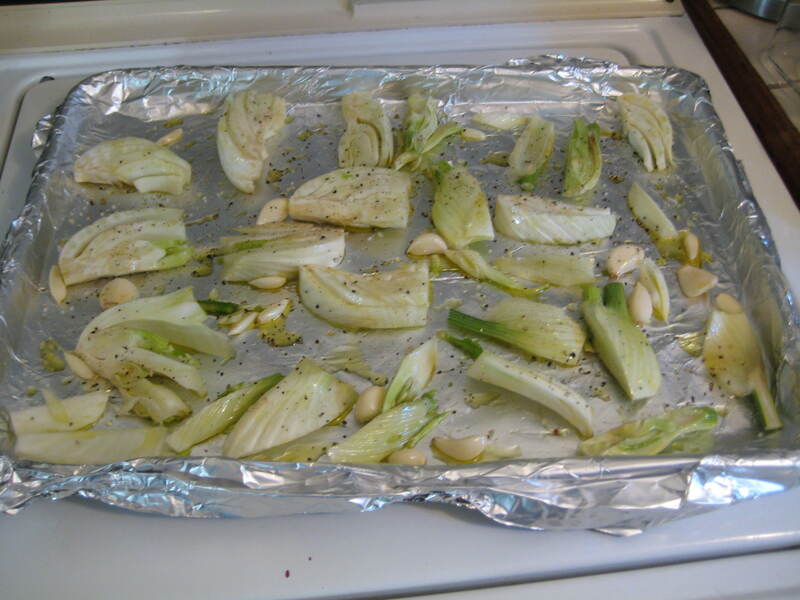 Remove baking sheet from oven and push fennel and garlic to sides of sheet. Place pork in center of sheet and roast for 20-25 minutes, until thermometer registers 145°. Transfer pork to a cutting board and let rest for at least 5 minutes before slicing. Serve pork with fennel and garlic. For easy clean up line your baking sheet with aluminum foil. For roasting I like the foil that is meant for the grill. It already has non-stick stuff built into the foil and is meant to withstand really hot temperatures. Make sure to let your pork rest before slicing, it ensures that the juices stay in the pork and don’t end up on the cutting board – what a waste of delicious pork juice! 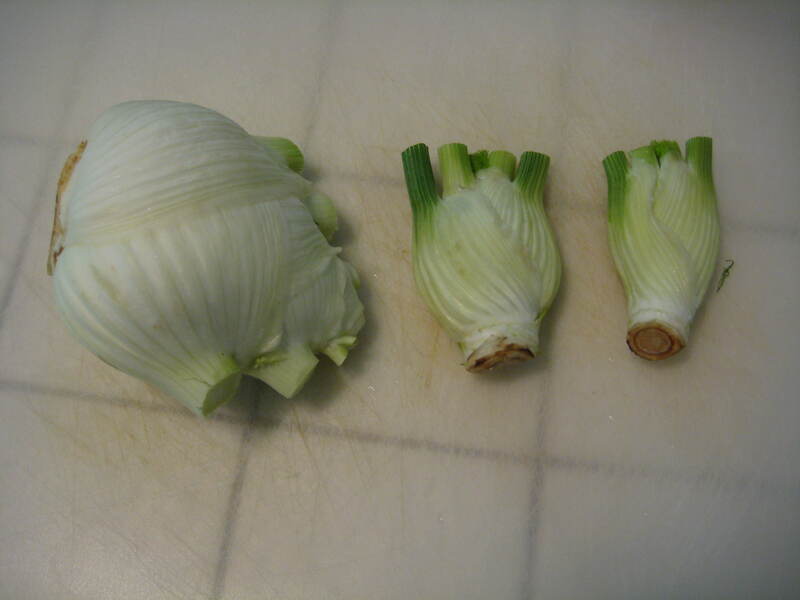 Watch your fennel! I didn’t keep a close eye on it and a good chunk of them were a little too roasted. Roasting time will vary with the size of the fennel – the csa fennel didn’t last the whole cooking time but the grocery fennel was just fine. I adore roasted fennel and just learned that you can make pesto from the fronds. I host a weekly CSA Link party and would love for you to be a part of it. Come and check it out and add your link. http://inherchucks.com/2012/07/25/whats-in-the-box-36/. Hope to see you there!